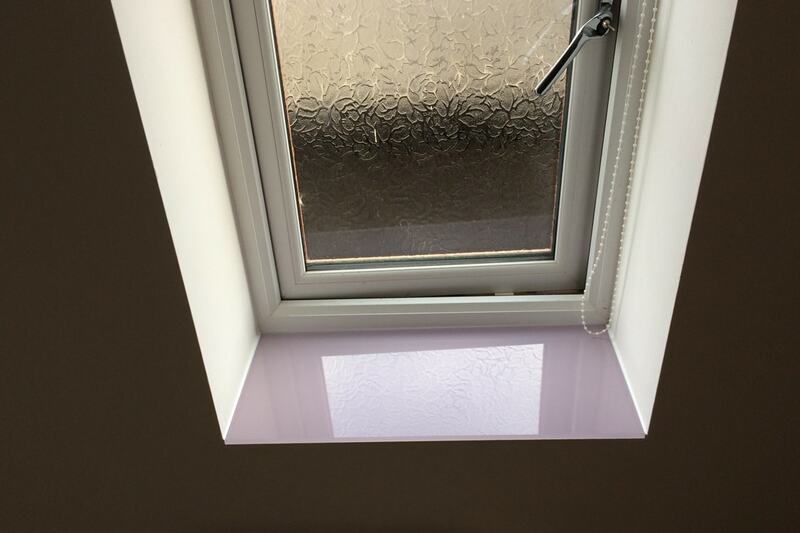 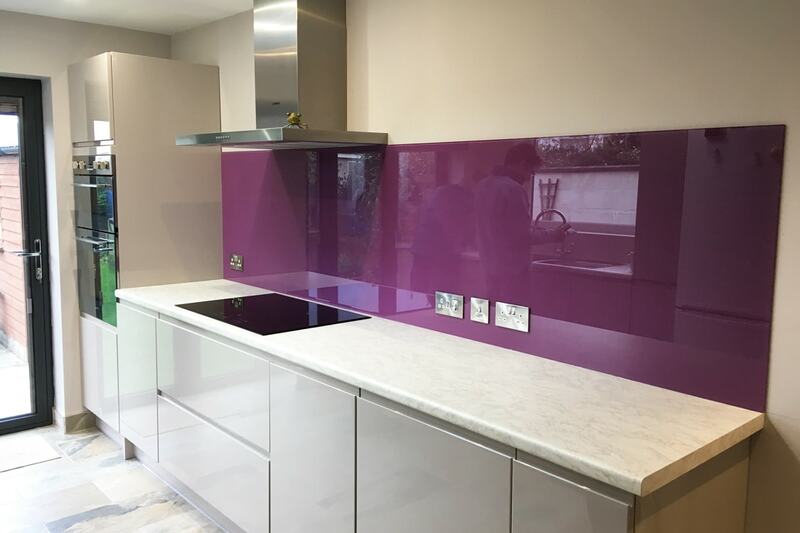 Heather Orchid toughened glass splashback and window sill. 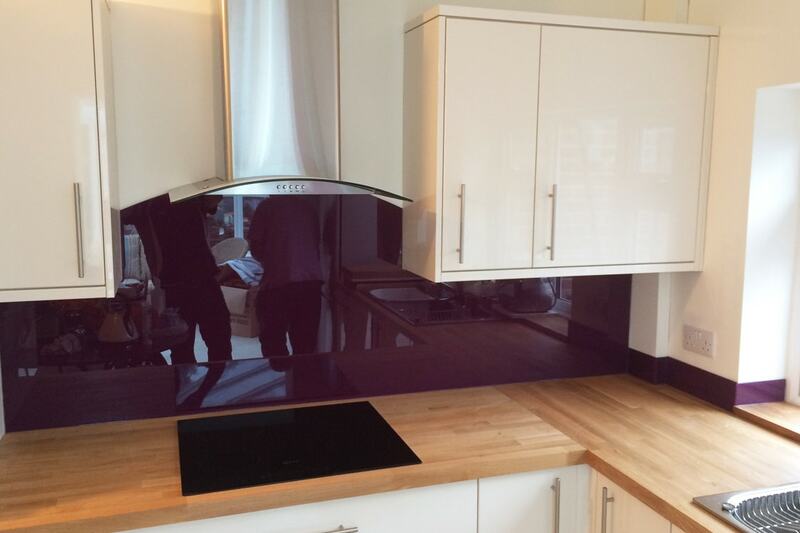 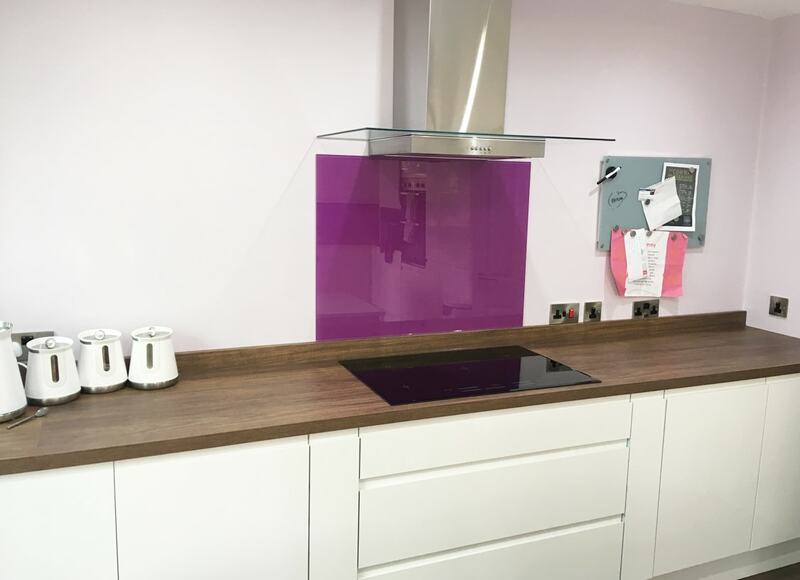 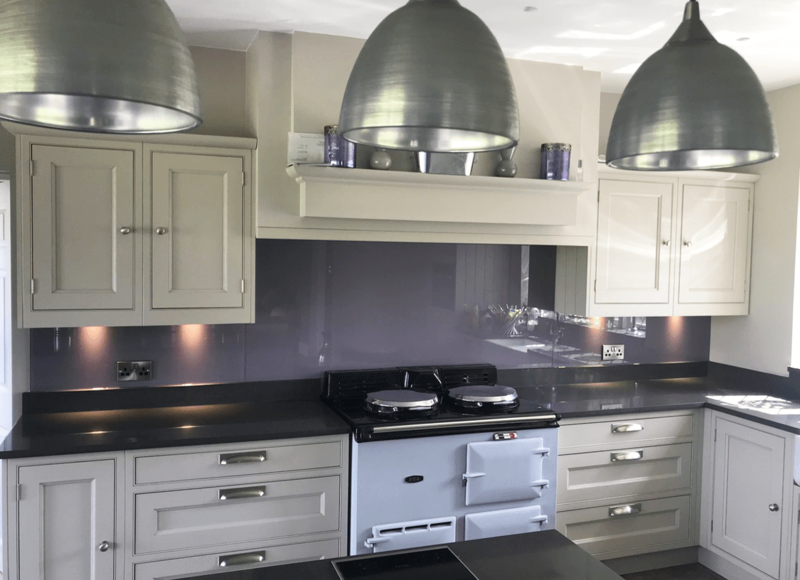 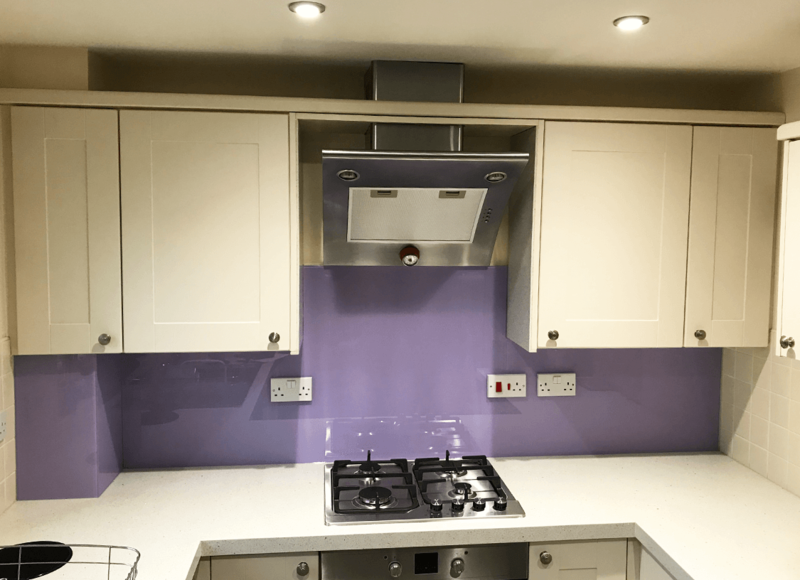 Purple Violet toughened glass splashback with curved cooker hood. 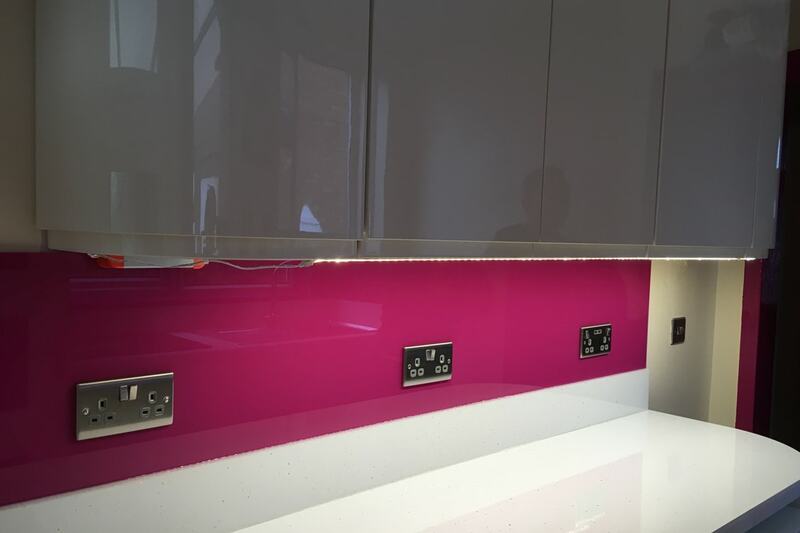 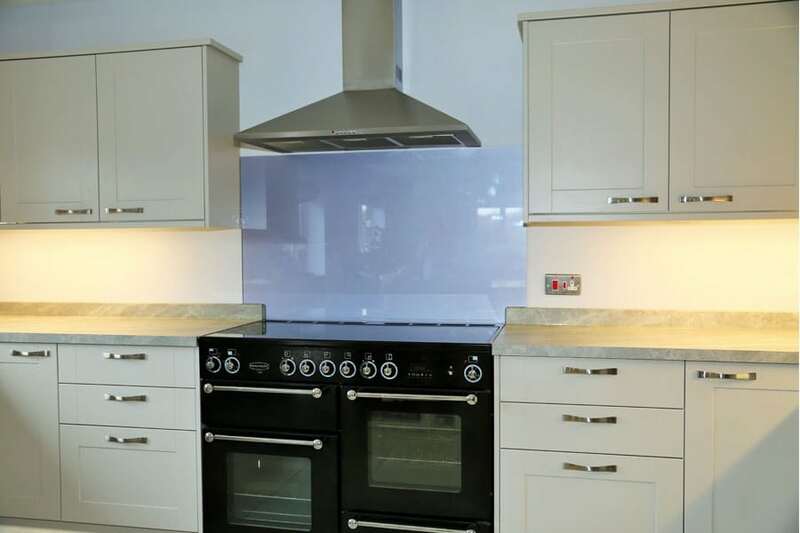 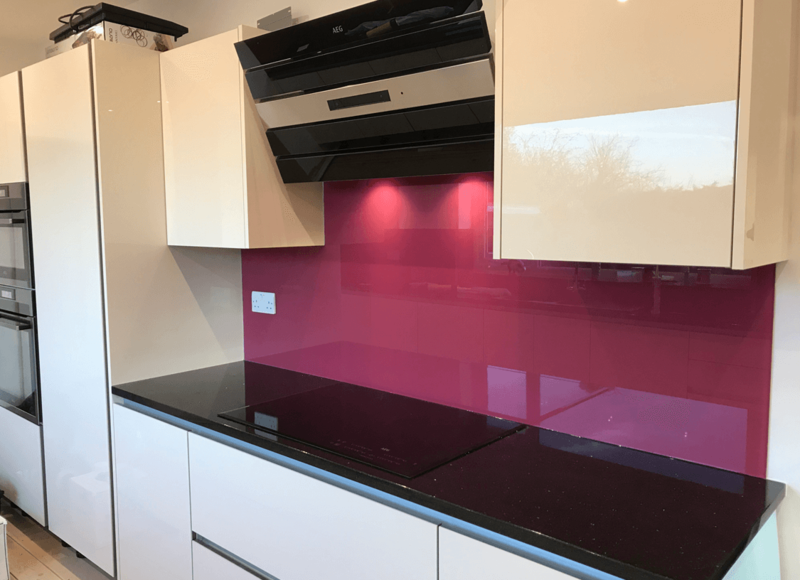 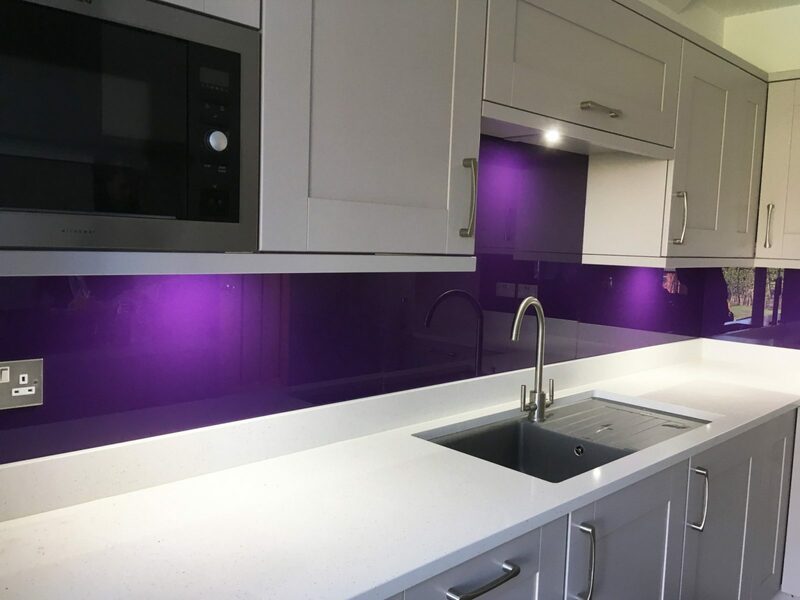 Heather Orchid toughened glass splashback. 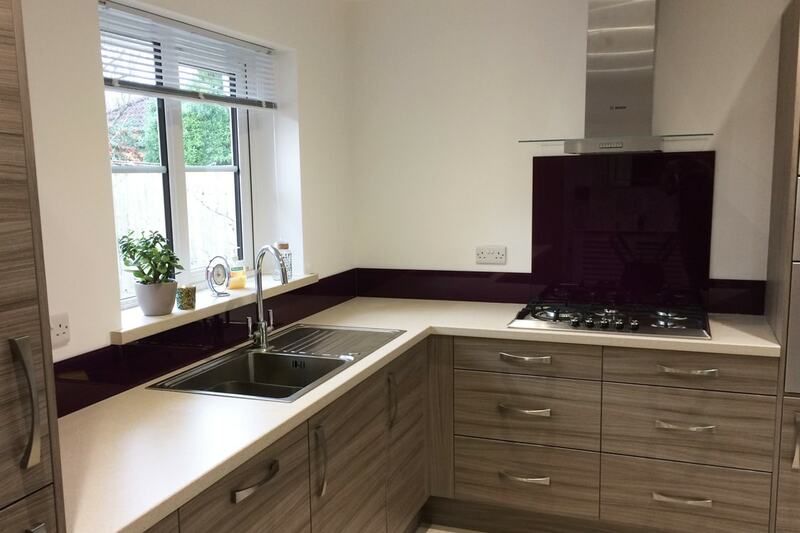 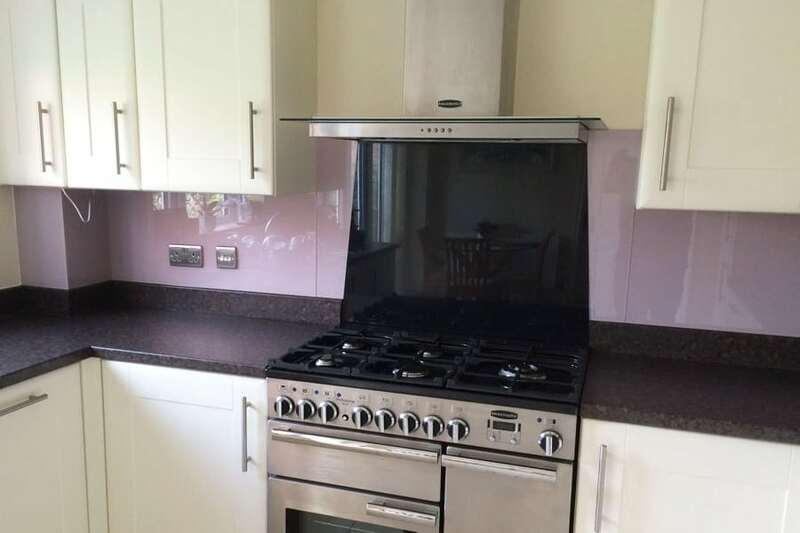 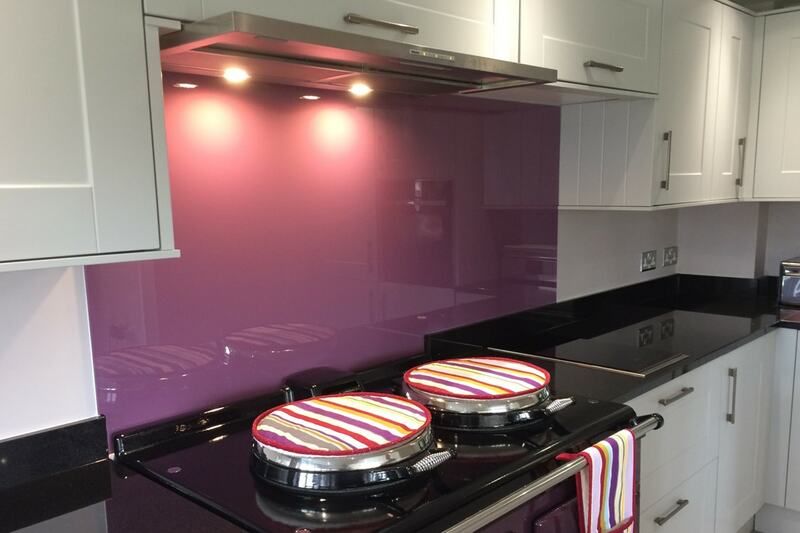 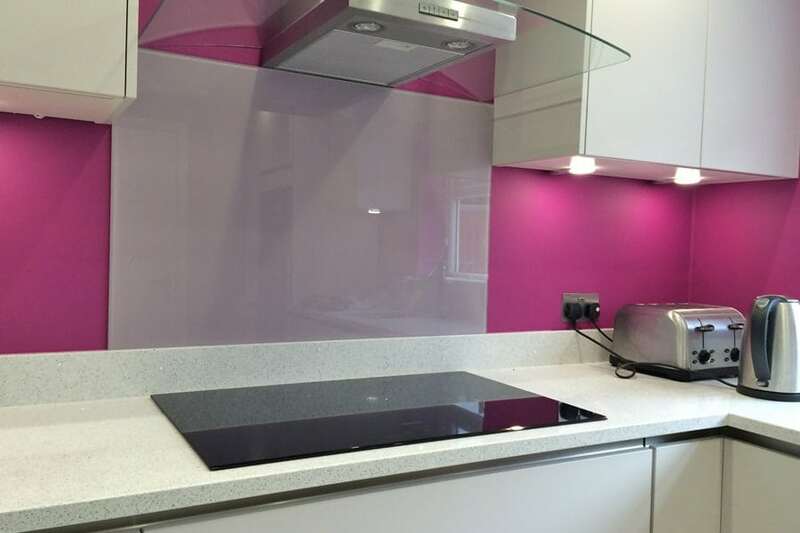 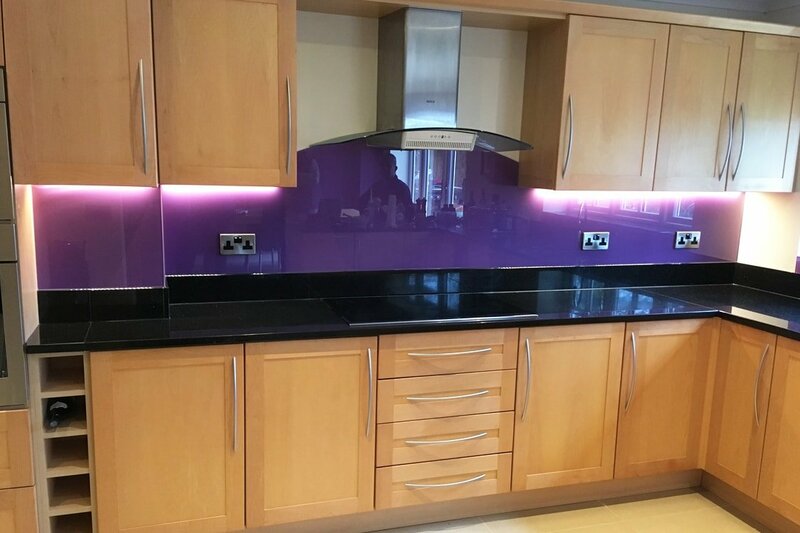 Orchid Purple toughened glass splashback.